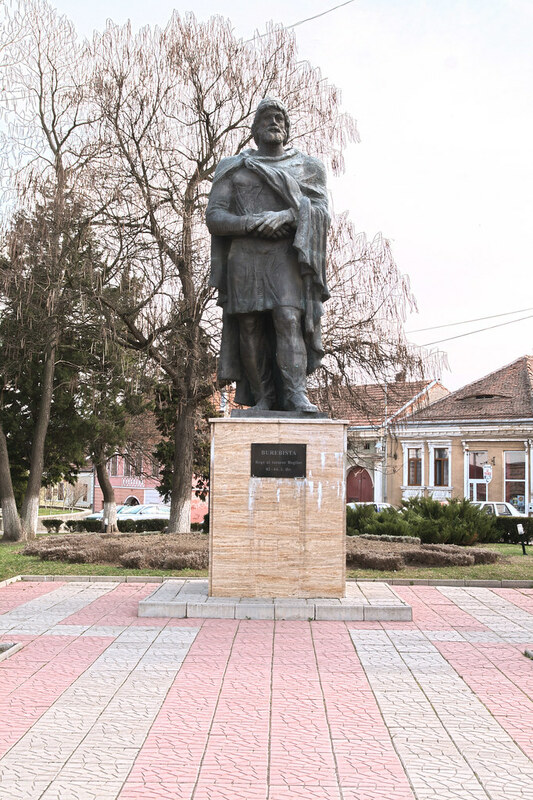 The statue of King Burebista, unveiled on August 18, 2001, conducted by the New York foundation "Dacia Revival International Society", led by Dr. Napoleon Savescu, in collaboration with other sponsors and partners. 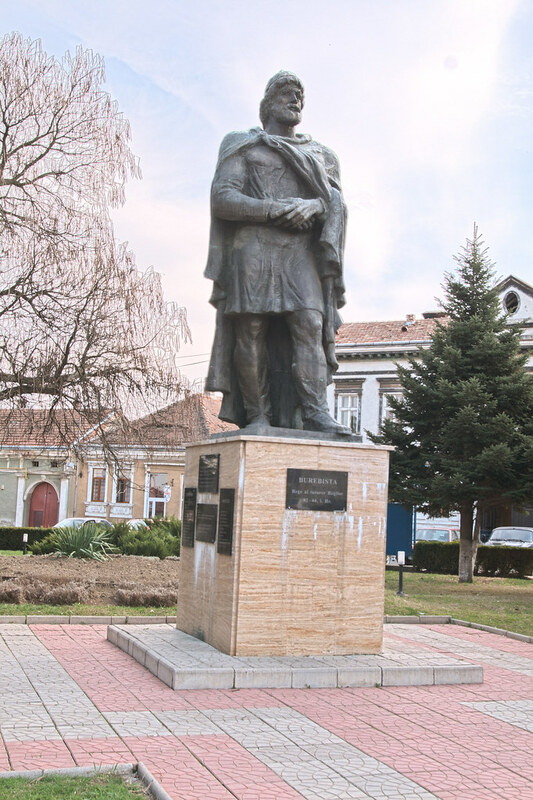 The monument, made ​​in bronze by Ion Bolborea, is 4.2 meters tall and weights 4 tons. 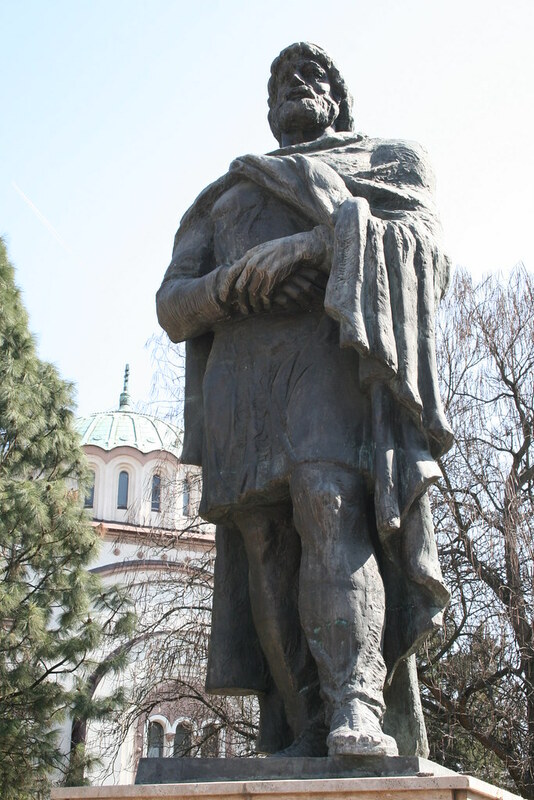 The artist was inspired by the statues of Dacian tarabostes of the Arch of Constantine in Rome.